Mary’s jobs in the Marketing department in Houston, TX. When the filter is applied, we display “My Jobs” insteaad of a list of the job titles. 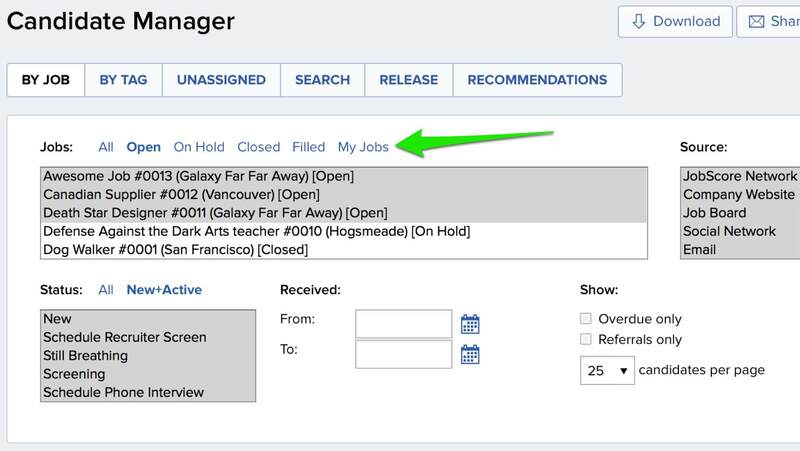 This makes the filter area smaller when you click into candidate manager lists from the homepage.